An elegy for tacos and Mexican food in New York. Ligaya Mishan’s latest piece in The New York Times isn’t the first time a New York writer has sought validation in the taco department. Before Mishan’s piece, the last attempt came from First We Feast, who dreamt the notion that there was a great debate between New York and L.A. over Mexican food. We let that one slide by because, frankly, there’s nothing to debate. New York City, your inferiority complex is wrapped in a flimsy, dry tortilla made from Maseca, and covered in ketchupy salsa. But it’s cute that you keep trying over there. Even the hipsters that frequent tacos trucks in Silver Lake and Highland Park would yawn at the likes of Reyes Deli. Reyes Deli, who proudly displays a Boar’s Head product logo on their menu. Reyes Deli, who sells wraps. Wraps—are you kidding? Taco Mix, El Bronco Truck, El Coyote Dormilon, and the rest are homogenous, adulterated taquerias serving sad tacos, hamburgers, combo plates, wraps, and fajitas. The carnitas at El Coyote Dormilon were dry because they were boiled, then fried in some fat before serving (otherwise known as the cheater method). We could do better here at the touristy Olvera Street downtown—and pick up some marionettes to perform a mockery about your outrageous claims while we’re at it. Here’s a newsflash New Yorkers: most of your tacos are made by Poblanos, but Puebla is not known for its tacos. There’s barely a taco culture there outside al pastor and tacos arabes. And, we have that same Poblano cuisine here in L.A., too. There are those that would argue that New York has a formidable taco scene because of the presence of southern Mexicans. Let’s get real here—Los Angeles is the third most important Oaxacan center of cooking in the world, after Oaxaca and Mexico City, because L.A. has more Oaxacan cuisine than Mexico’s second, third, and fourth largest cities combined. We’ve got one Oaxacan restaurant—Gish Bac—that is a branch of a barbacoa stand in Oaxaca’s Tlacolula Market. The cook is a third generation barbacoa artisan. Need more proof? Allow me to point you in the direction of the Mercado Olympic. 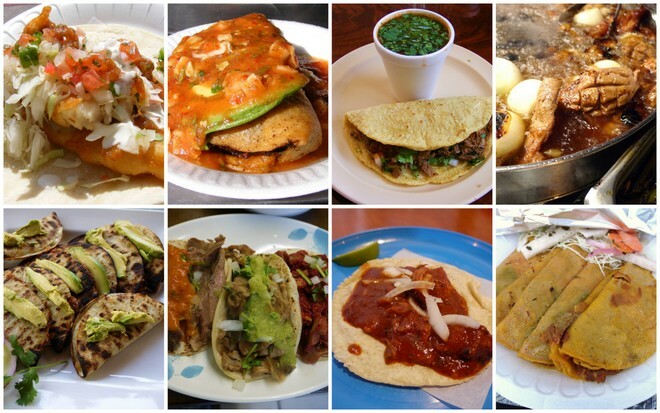 The comments section of Mishan’s article had some deep speculation about northern Mexican food. There is no real northern Mexican cuisine in the U.S.—besides Baja fish taco stands in California. (There’s also the Sonoran-inspired Mexican food in Arizona, but that consists mainly of hot dogs.) Los Angeles not only has the best southern Mexican in the country, but the base of our local Mexican cuisine comes from Central Mexico (Jalisco and Zacatecas) and the Pacific (Sinaloa and Nayarit). L.A. has fried shrimp tacos from Mariscos Jalisco that are as good as you’ll find in the states of Sinaloa and Jalisco, and in other regions along the Pacific Coast. Coni’seafood brings in smoked marlin from Mexico for Nayarit-style tacos de marlin. Our best al pastor trucks, Tacos Leo, and their relatives at Tacos Tamix, bring in pedigreed taqueros from Mexico City. Ensenada’s native-son, Ricardo Piña, of Ricky’s Fish Tacos, runs a fish taco stand using mostly ingredients from Baja California. Mexicali Taco Co. sources their flour tortillas from Mexico for traditional carne asada cooked over flames. We have Michoacan and Mexico City-style carnitas cooked in cazos (large copper and stainless steel pots), tacos de cesina from Oaxaca, Puebla and Morelos; tacos de canasta from Mexico City and Jalisco; tacos de guisado from Mexico City; and barbacoa masters from Hidalgo, Guerrero, Puebla, and the State of Mexico. L.A. has specialists like Flor del Rio where Zacatecas-style goat birria is the only thing on the menu. I could go on, but it would be overkill. You’re right about one thing Ligaya—it’s not just about quantity, it’s about quality, which is another area where L.A. has a crushing advantage in terms of produce, products, specialization, traditions, and artisans. I understand you’re a poet, Ms. Mishan, so consider this my elegy to your thesis on New York tacos. Next time you’re feeling like a food fight, make sure that it’s a slice of pizza that’s in your hand.